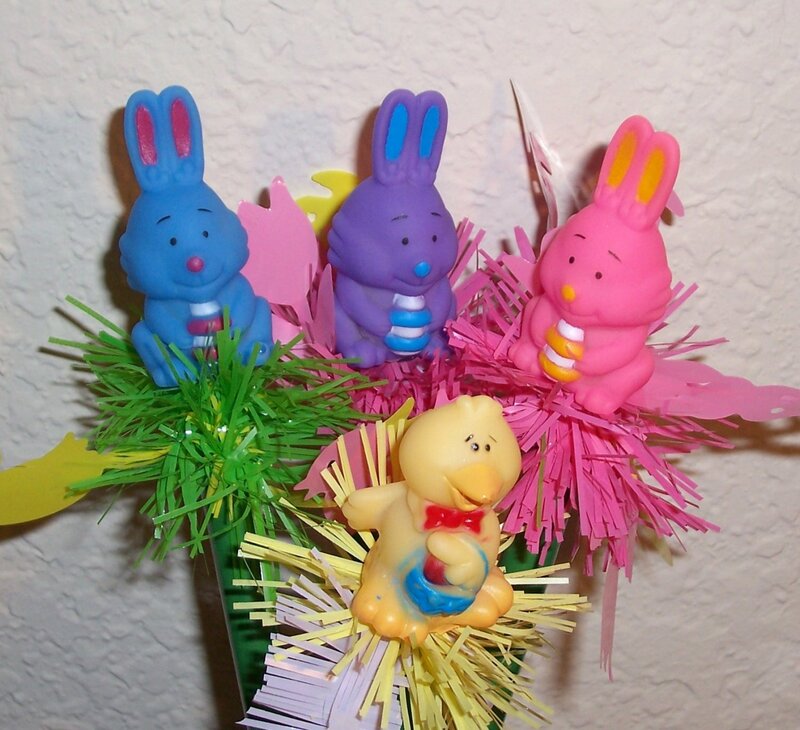 This group of springy Easter characters features 3 Easter Bunnies and 1 Easter Chick. The bunnies are brightly colored in pink, purple and blue. All are spring mounted for extra wobbly fun, with the spring concealed by a festive garland collar. Pen barrels are wrapped in dark green Duck Brand duct tape, and are a random mix of blue and black inks. The pens are Bic Biro, and cartridges easily replaceable with other Biro pens.